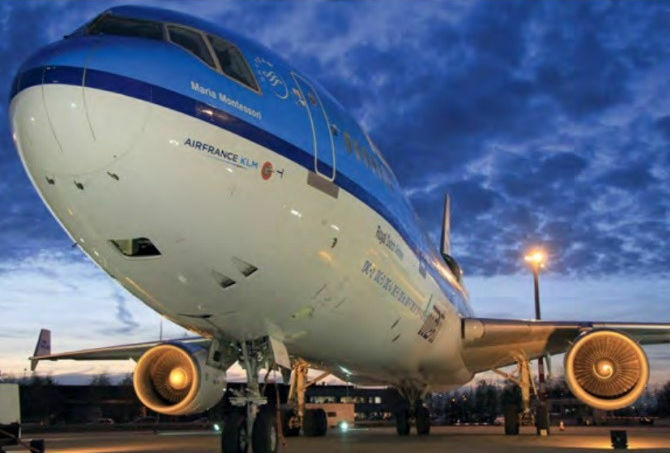 A technician awaits the pilot’s command to attach the crew boarding ladder to the aircraft. 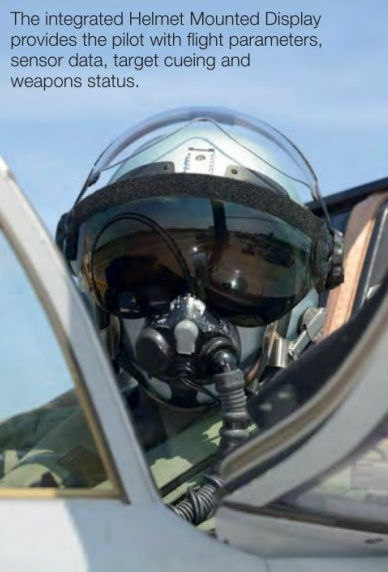 The integrated Helmet Mounted Display provides the pilot with flight parameters, sensor data, target cueing and weapons status. 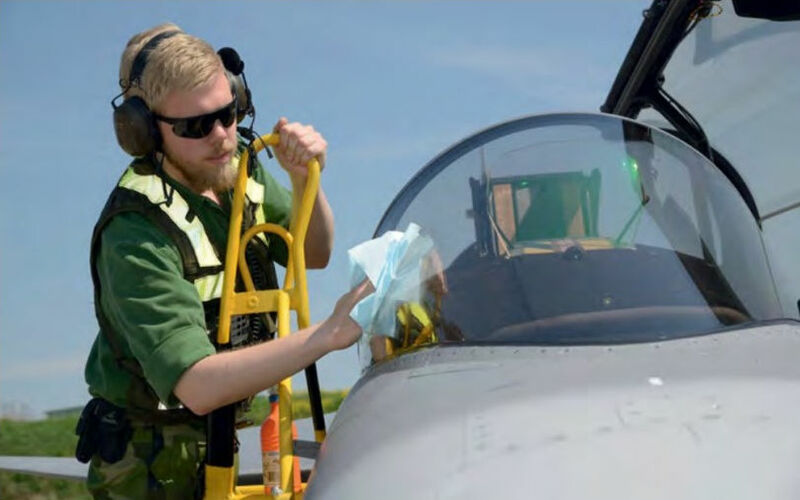 A crew chief cleans the wind­shield. 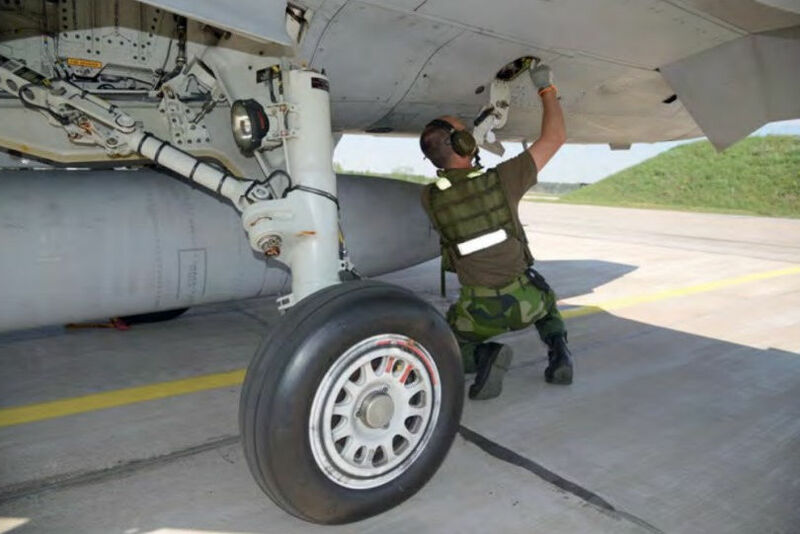 A crew chief checks the hydraulics. 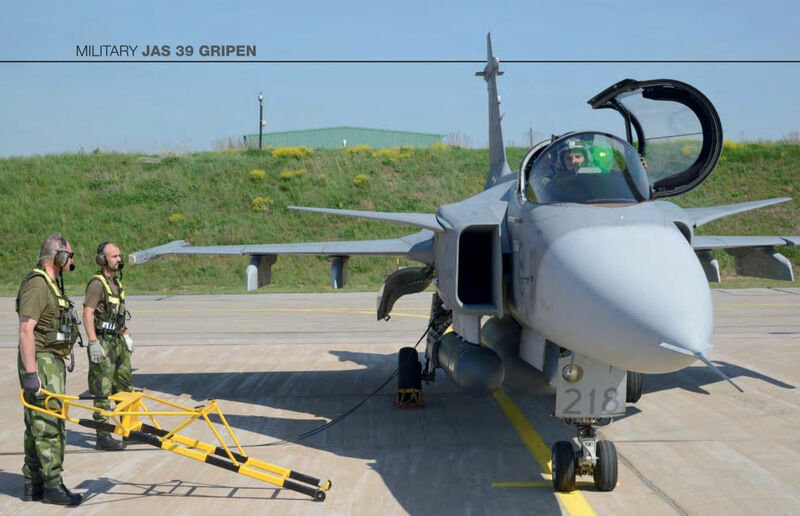 A Rafael navigation and targeting pod fitted to a JAS 39C Gripen. 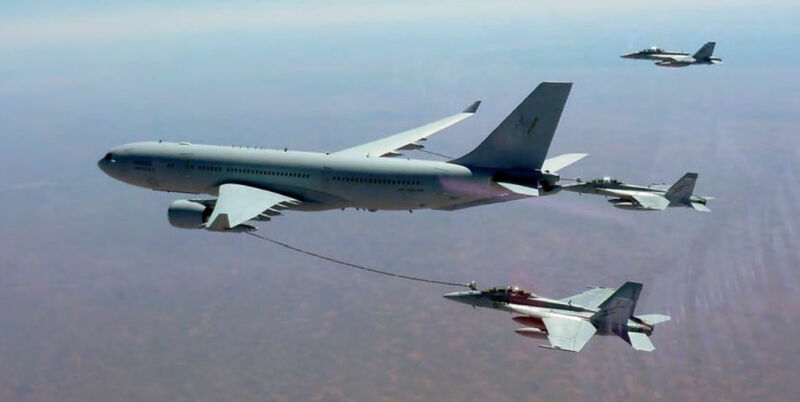 French Air Force Rafales were the first non-RAAF aircraft to refuel from the KC-30A over Iraq. Malaysian Airlines Boeing 777-200ER 9M-MRD (c/n 28411) at Stockholm-Arlanda Airport, Sweden in May 2009. 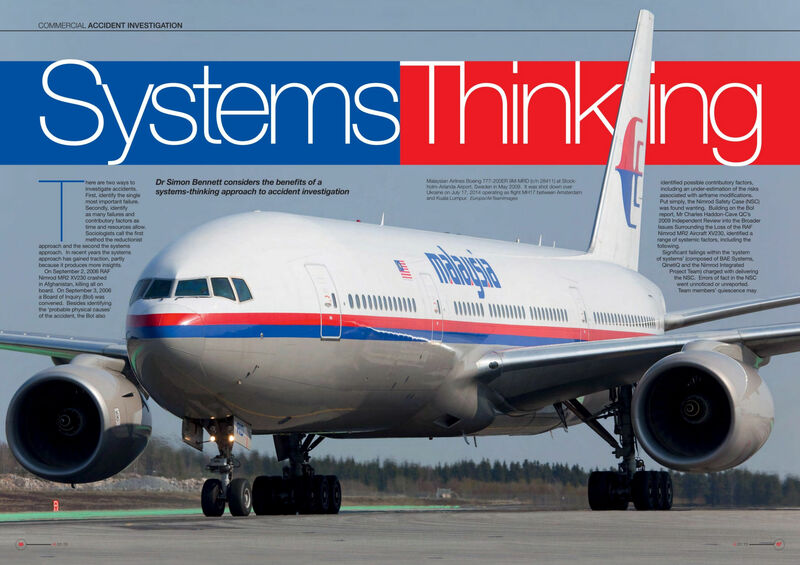 It was shot down over Ukraine on July 17, 2014 operating as flight MH17 between Amsterdam and Kuala Lumpur. 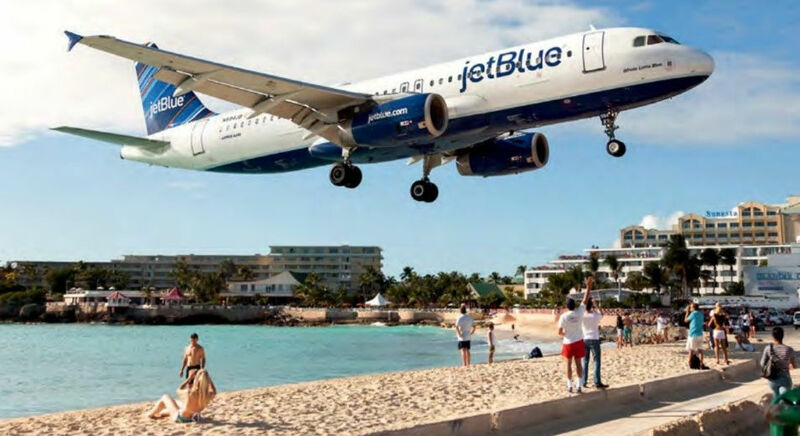 A third of JetBlue’s destinations are international including St Maarten in the Dutch Antilles, where N594JB is seen on final approach. 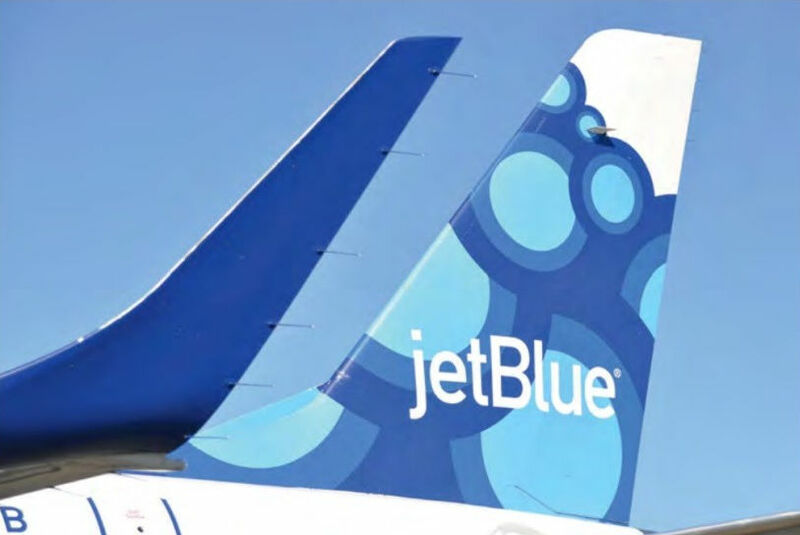 With 70 daily departures Fort Lauderdale, where this A320 (N536JB) is pictured, is one of JetBlue’s major hubs. 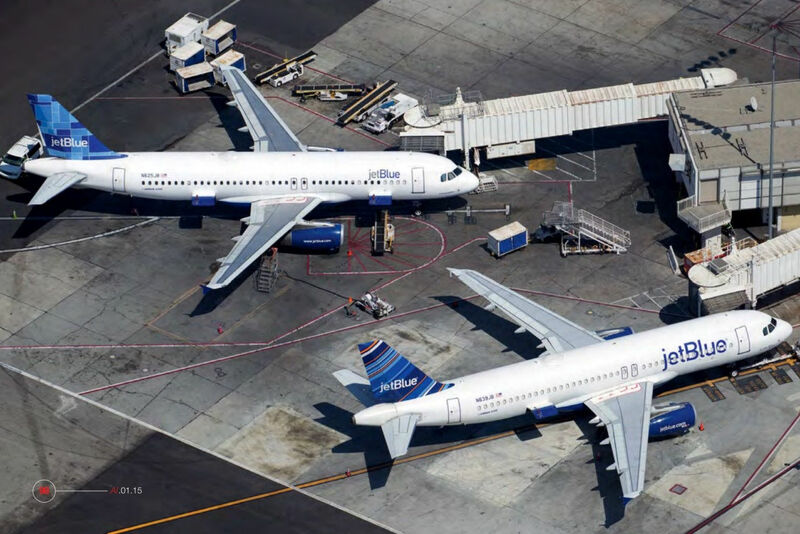 Los Angeles is the airline’s west coast hub. 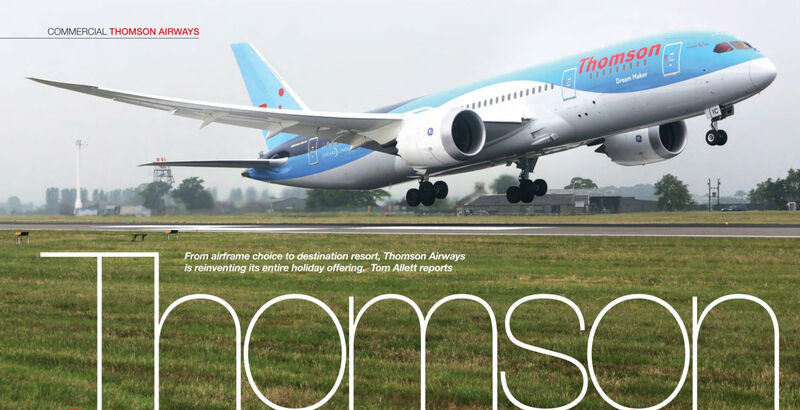 Thomson Airways originally was due to take delivery of eight of the 13 Dreamliners ordered by the TUI Group. 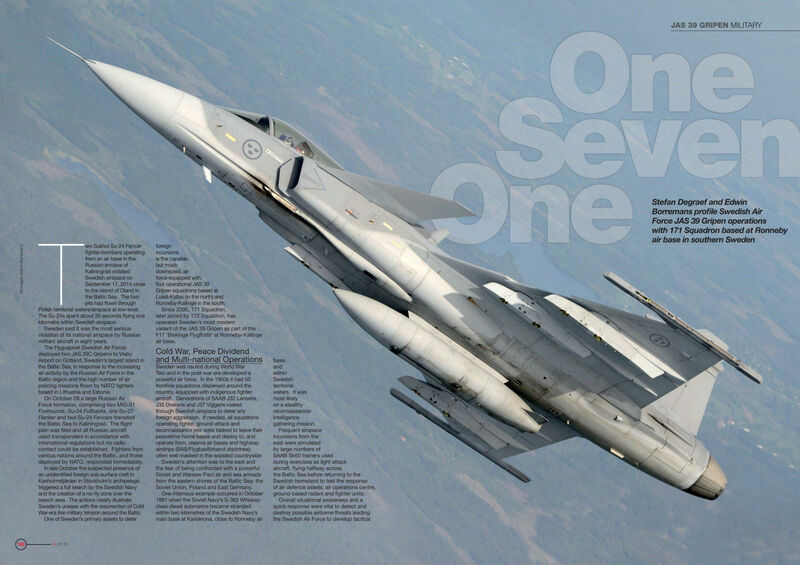 Now it will take ten of an expanded order for 15 aircraft. Iran Air Airbus A300-200 EP-IBS (msn 080) at Tehran-Mehrabad International is one of 18 delivered to the carrier that included EP-IBU (msn 186): the aircraft shot down by the USS Vincennes over the Persian Gulf on July 3, 1988. 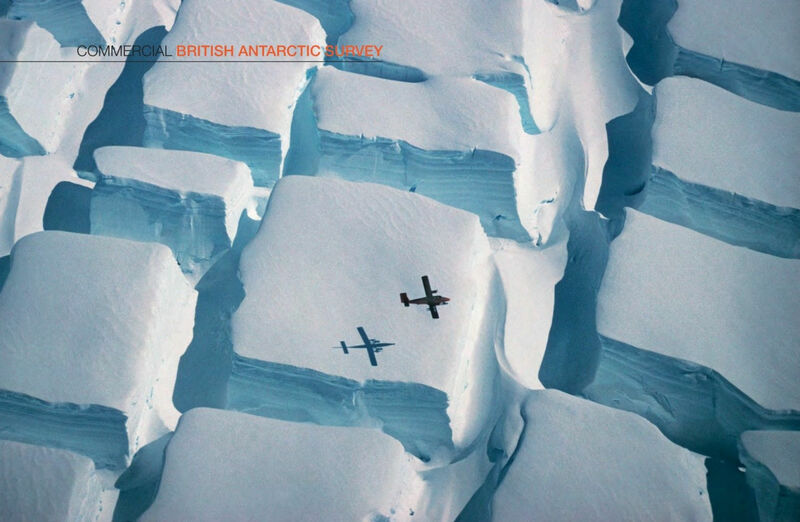 A BAS Twin Otter flying low over a striking crevasse field. 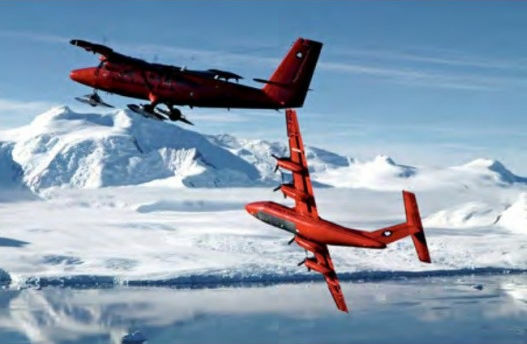 A Twin Otter and the Dash 7 flying close to Rothera Research Station. 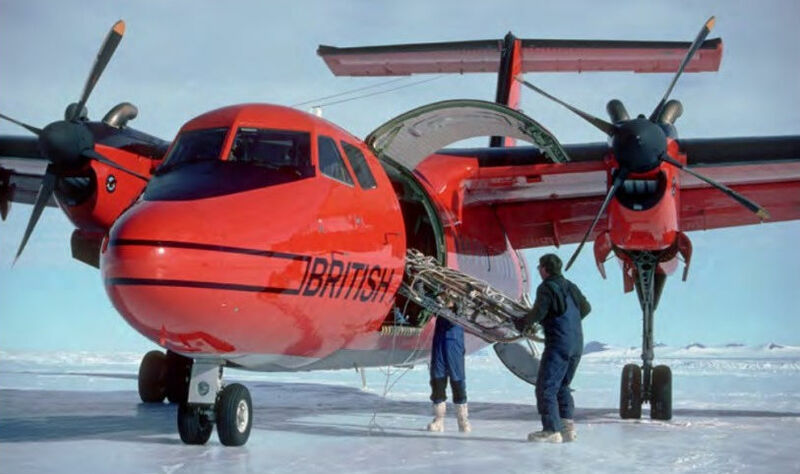 The Rothera hangar is the BAS Air Unit’s base in Antarctica. 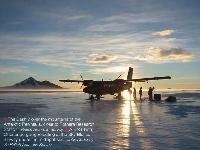 A BAS Twin Otter undergoing refuelling at the Sky-Blu ice runway under the midnight sun. 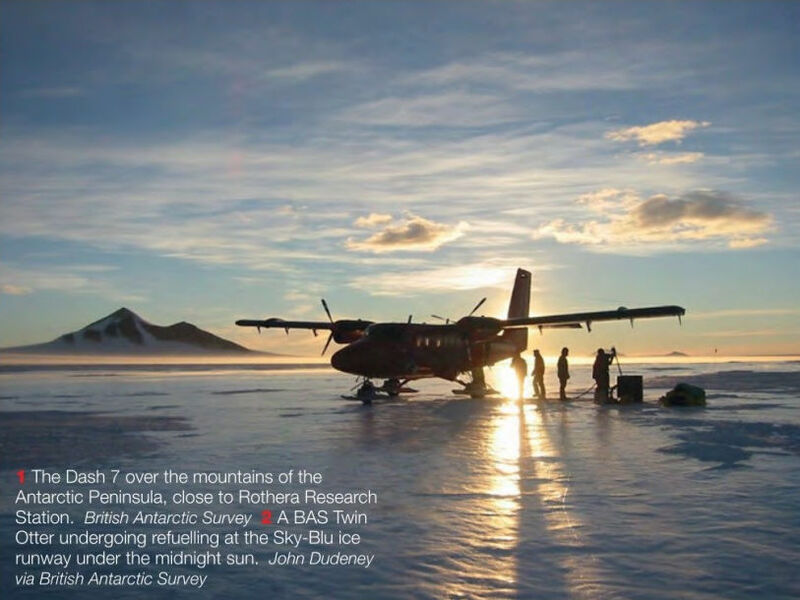 A glaciologist uses ground-based GPS and the Twin Otter to survey the flow of the ice sheet. 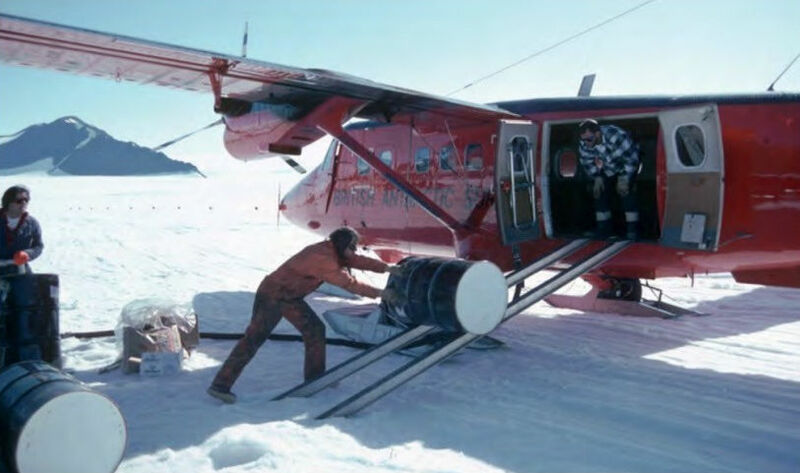 The Twin Otters deliver fuel drums to forward locations and research camps. 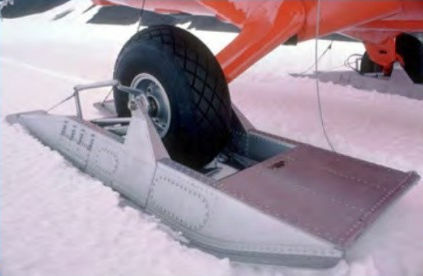 With the Twin Otters' skis weighing close 800lb (363kg), the aircraft have an increased gross weight of 14,000lb (6,350kg) to give them a useful cargo and fuel payload. AIR International was on hand when 736's newly painted jet was towed on to the Culdrose flight line for the first time last July. 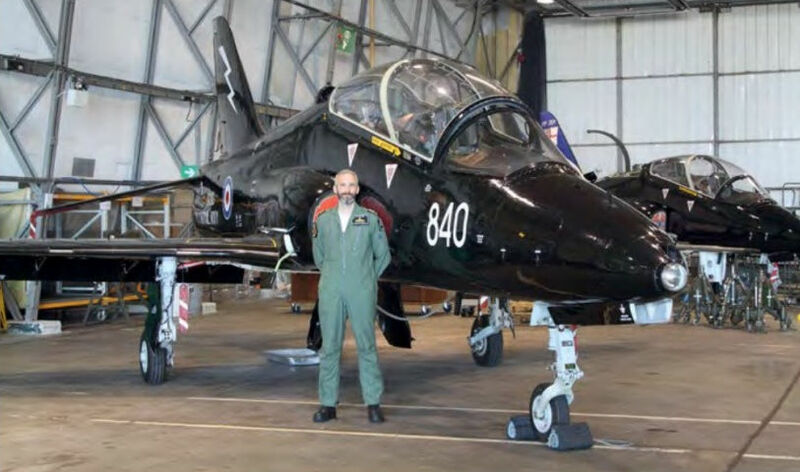 Man and machines... Lt Cdr Tim Flatman, Commanding Officer of 736 NAS, which operates 14 Hawk T1/T1As from two locations, RNAS Culdrose and RNAS Yeovilton. 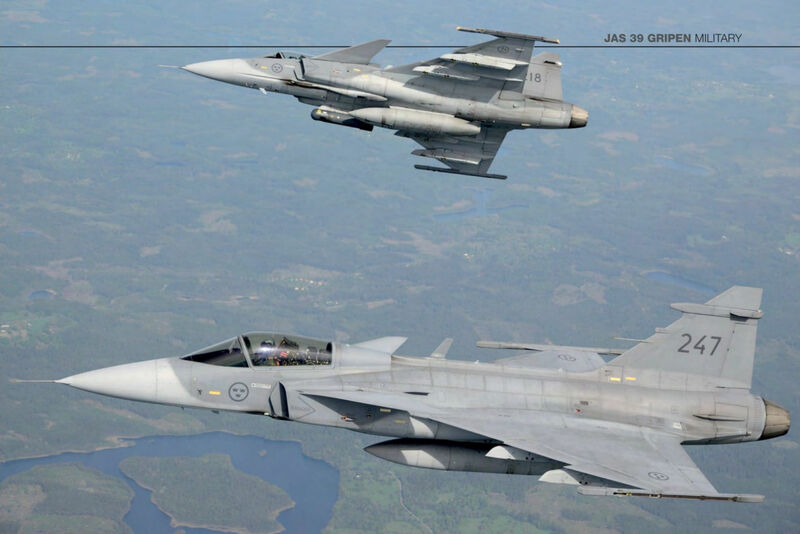 A Flight maintains a permanent detachment of two aircraft at the latter. 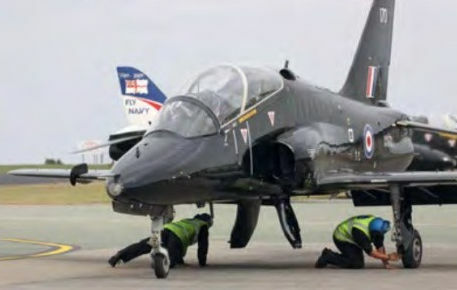 Squadron ground crew at RNAS Culdrose (seen here) and at RNAS Yeovilton have responded well to the challenges of an increased workload. 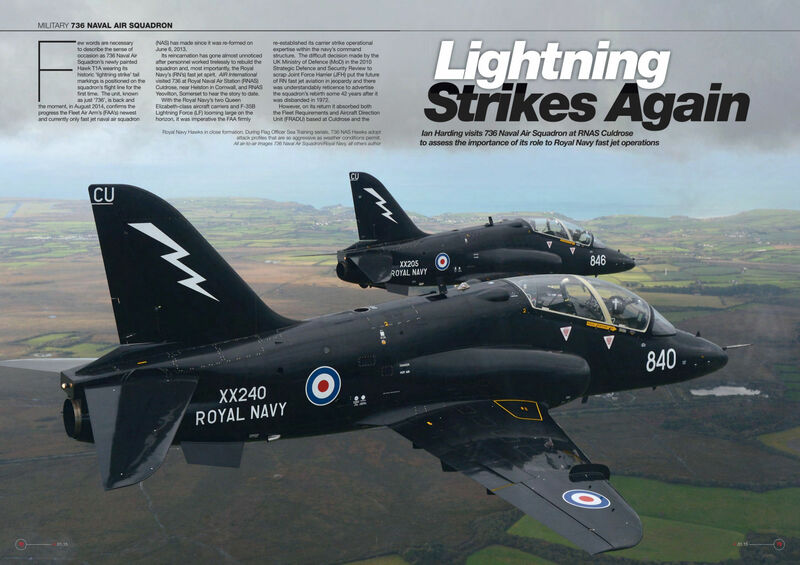 As Royal Navy fast jet pilots return from tours in the United States, 736 NAS could provide the bridge for those transitioning to the F-35B Lightning II over the next few years. 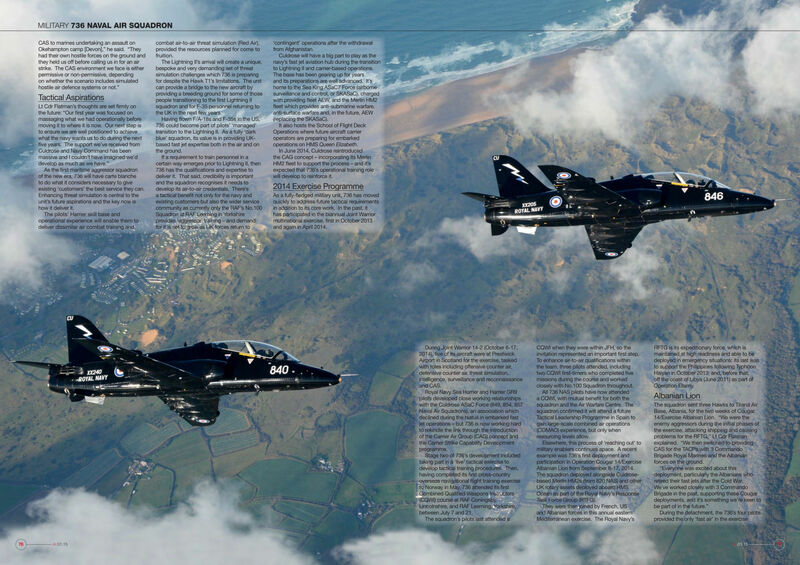 Royal Navy Hawks in close formation. 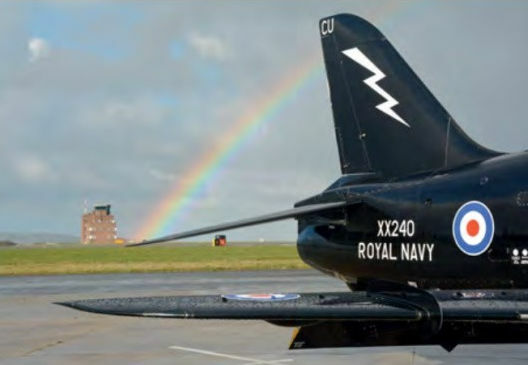 During Flag Officer Sea Training serials, 736 NAS Hawks adopt attack profiles that are as aggressive as weather conditions permit. Top: The Thursday War is a key weekly event for 736. 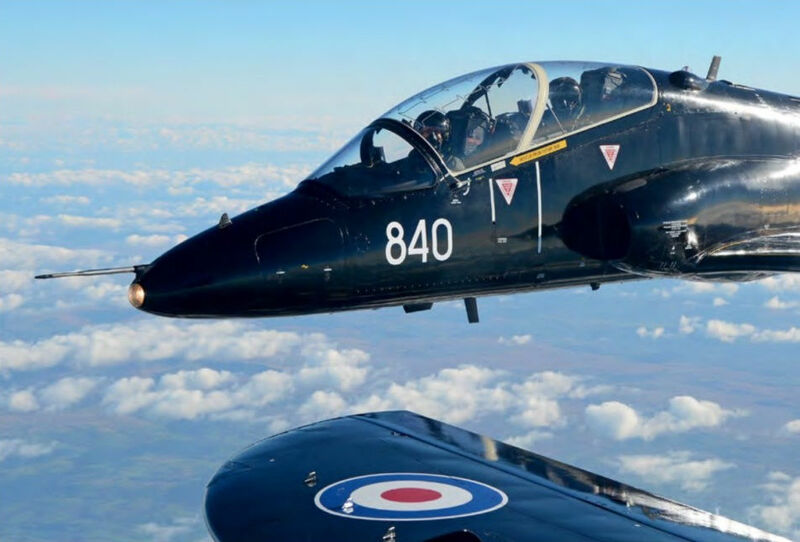 Lt Walker (front) and Jim Taylor prepare for their mission over the UK's South West Approaches. 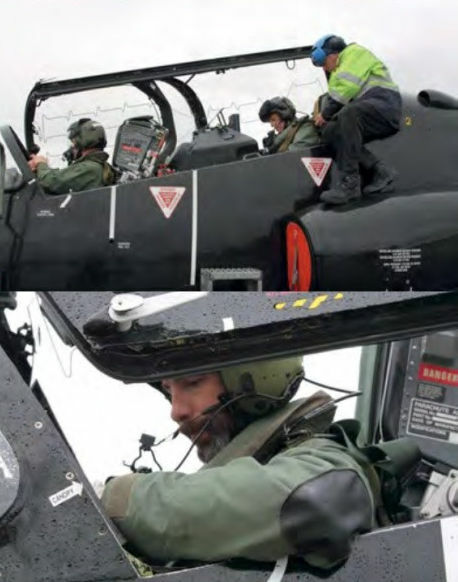 Bottom: Lt Cdr Tim Flatman completes his pre-flight routine ahead of a Flag Officer Sea Training event. 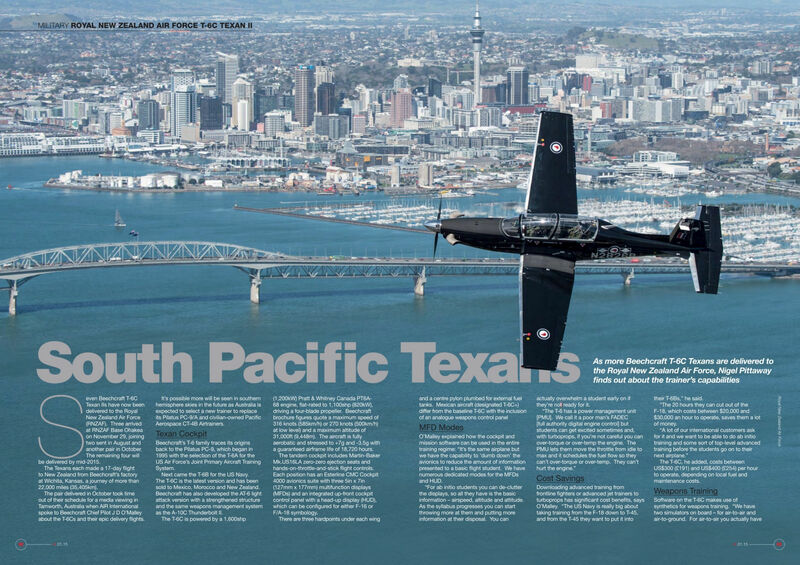 Top: With a wealth of experience on the Hawk, the squad­ron's ground crew and engineers remain critical to maintaining flight operations. 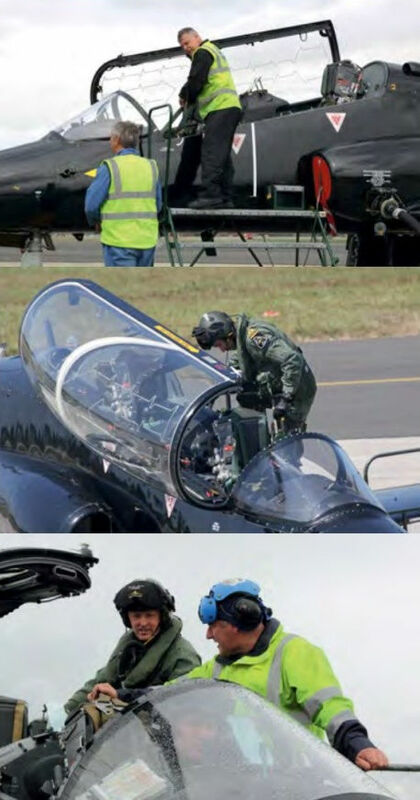 Middle and bottom: Flight and ground crew turn an aircraft around quickly in preparation for an afternoon FOST mission. 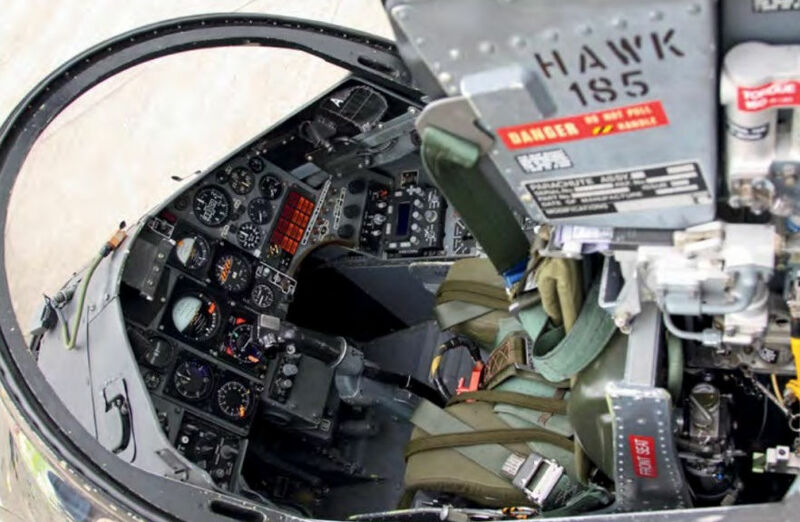 The Hawk continues to serve the Royal Navy well, but the cockpit is a demanding setting for the aggressor pilot. 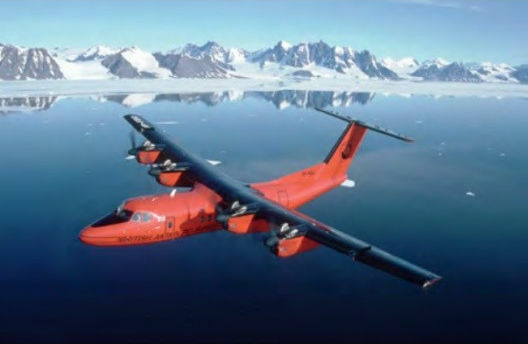 The Dash 7 over the mountains of the Antarctic Peninsula, close to Rothera Research Station. 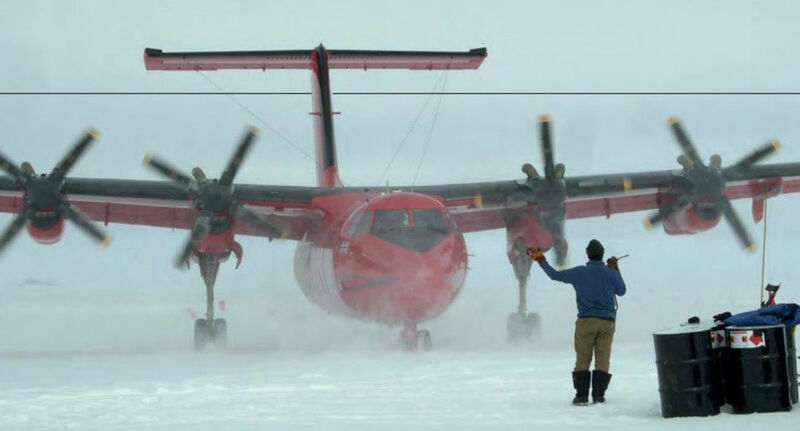 The Dash 7 on the blue ice runway at Sky-Blu. 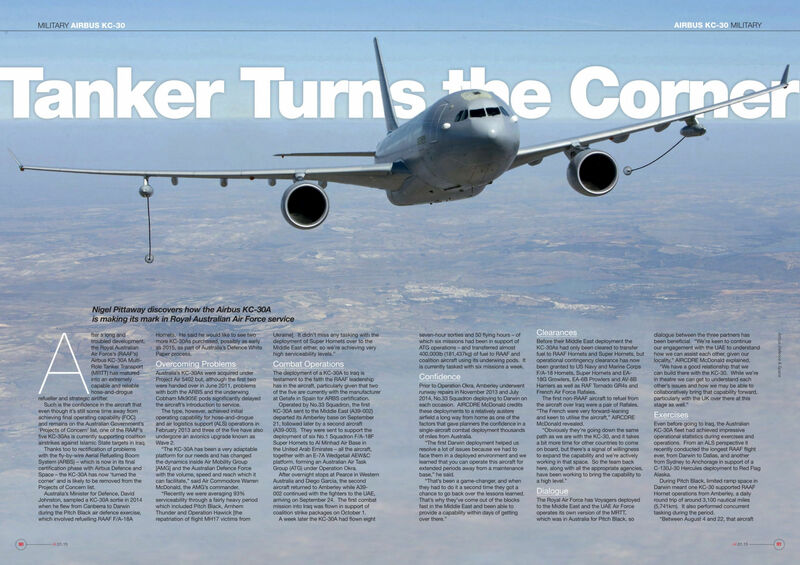 A KC-30A at Al Minhad after returning from an Operation Okra mission. 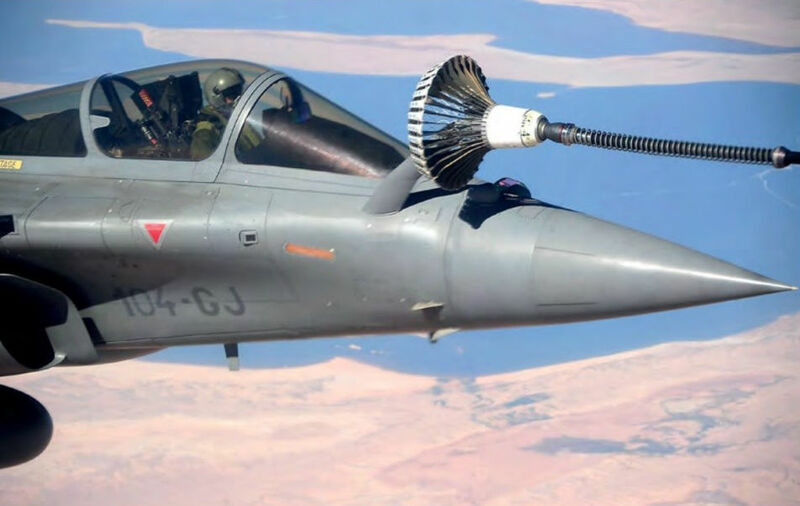 Almost 300 connections with receiver aircraft have tested the upgraded boom refuelling system. 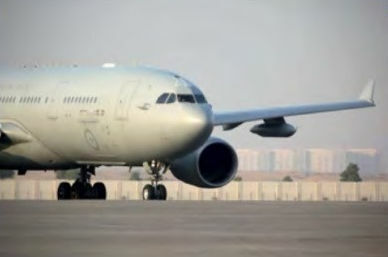 A330 MRTT может брать на борт больше топлива, грузов или пассажиров, чем его конкуренты. 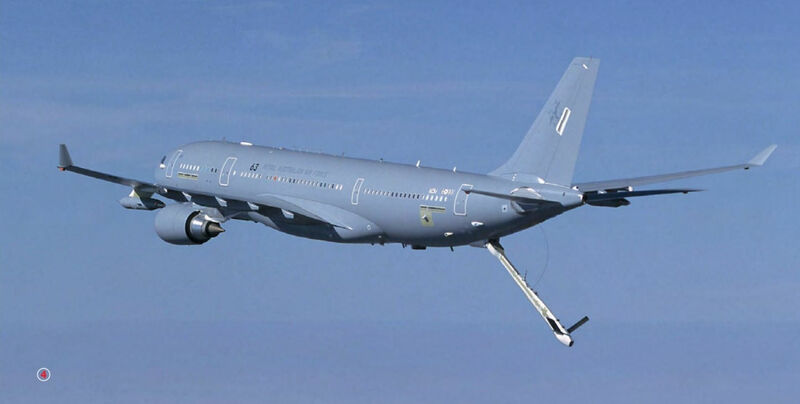 KC-30 может перевозить 32 грузовые палеты (поддона) типа 463L, тогда как Boeing KC-46A - только 19. 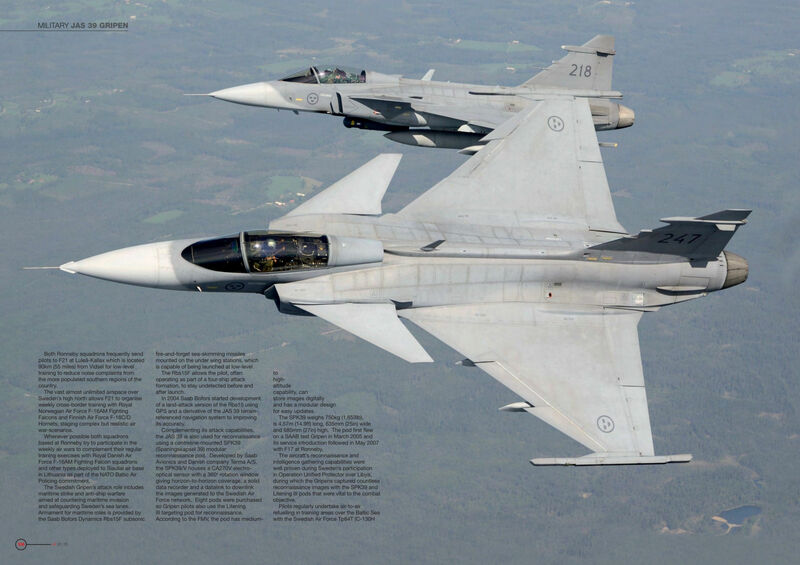 RAAF Super Hornets tanking from the KC-30A during their journey to the Middle East. An air refuelling operator refuels two F/A-18Fs over Iraq. 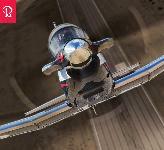 T-6C Trainer. 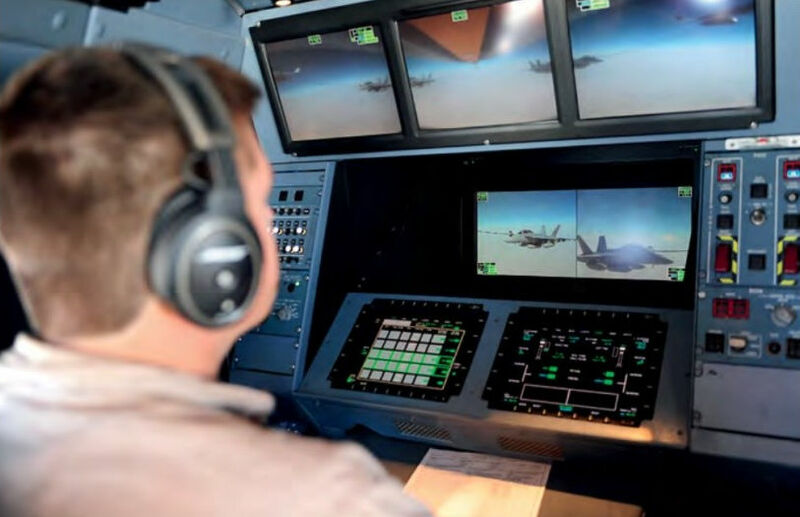 With a proven record of more than 2,500,000 flight hours and counting, this globally embraced, thoroughly modern aircraft delivers all the advancements to cost-effectively train the next generation of pilots. From an all-glass cockpit to a Sparrowhawk HUD to a powerful Pratt & Whitney turboprop engine, the T-6C feels, flies and trains like a fighter jet-making it the only choice for next-generation training today. And far into the future. 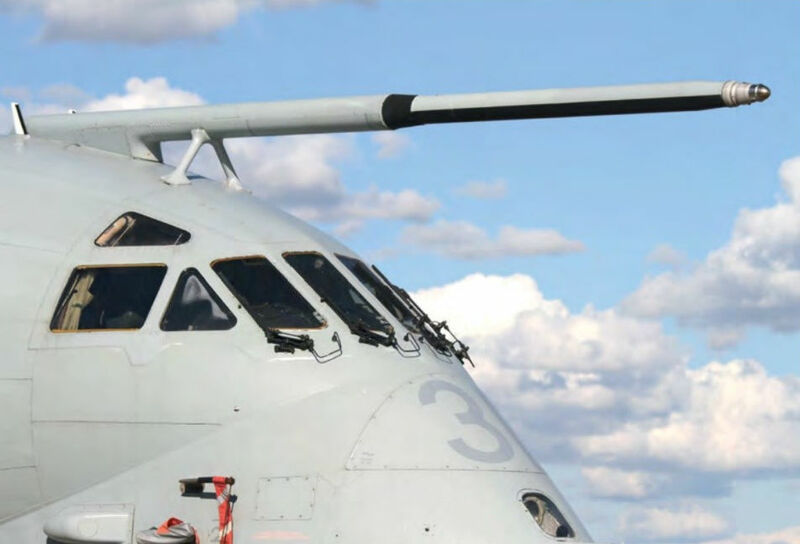 The fuel tanks added to the wings for the journey are visible on the two T-6Cs delivered in October 2014. T-6C NZ1404, formerly N2842B. 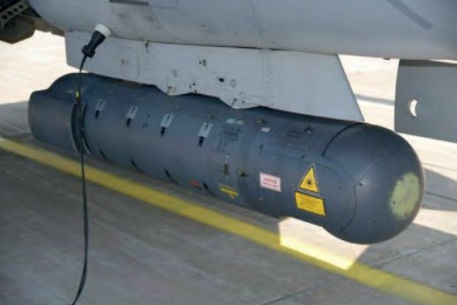 It was delivered in August 2014. 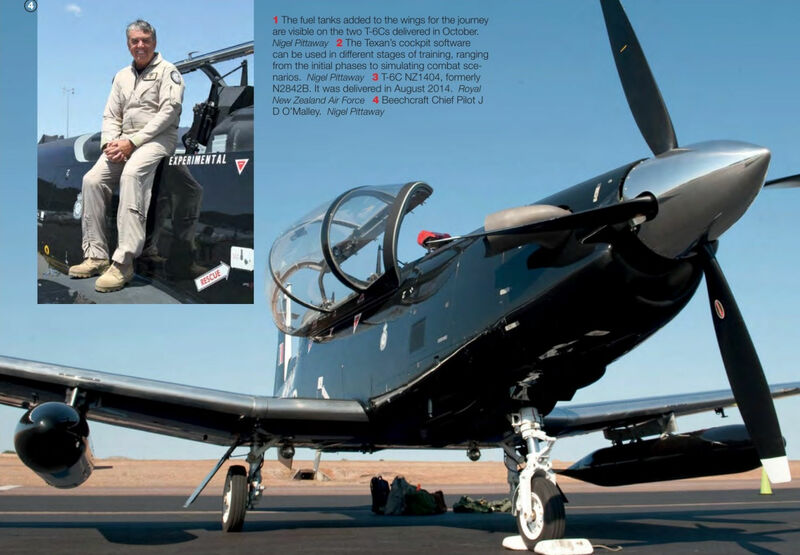 Inset: Beechcraft Chief Pilot J D O’Malley. 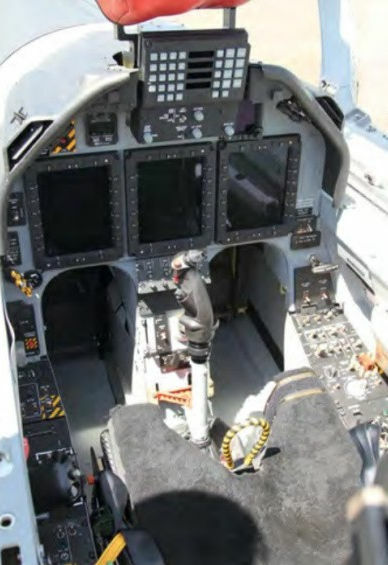 The Texan’s cockpit software can be used in different stages of training, ranging from the initial phases to simulating combat scenarios. MD-11 PH-KCD (c/n 48558) ‘Florence Nightingale' taxies in after the second of the three flights on November 11, 2014. 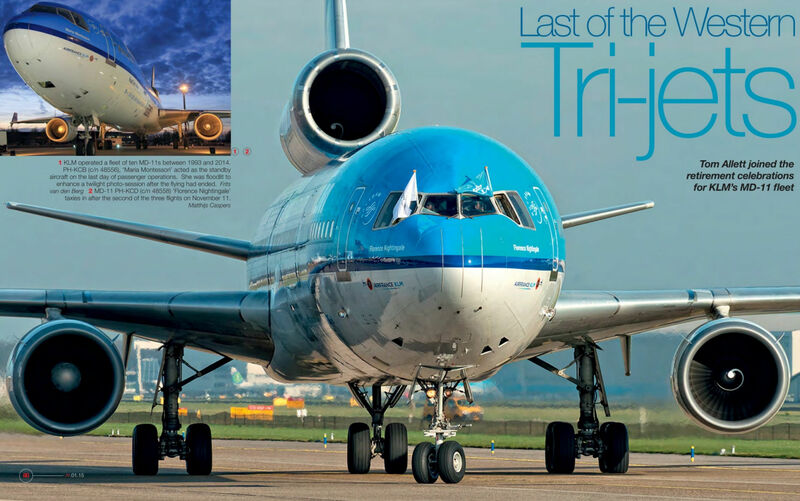 KLM operated a fleet of ten MD-11s between 1993 and 2014. 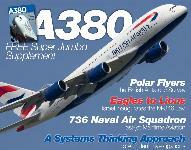 PH-KCB (c/n 48556), ‘Maria Montessori' acted as the standby aircraft on the last day of passenger operations. She was floodlit to enhance a twilight photo-session after the flying had ended. A321 N929JB arriving at Los Angeles in September 2014. 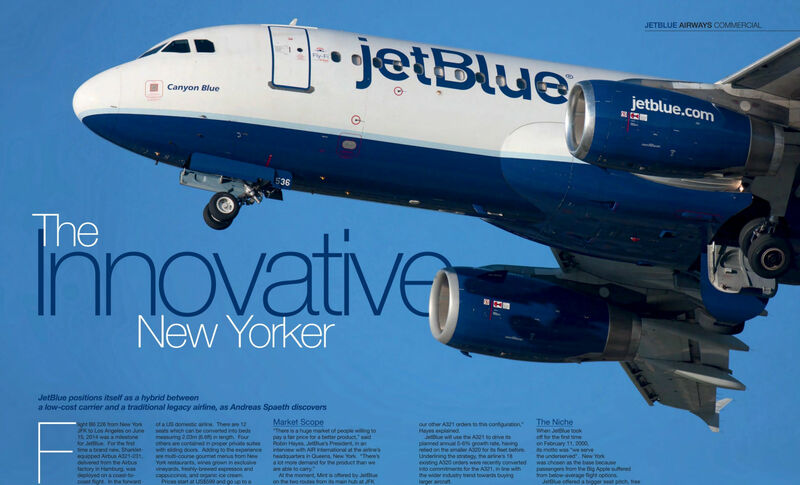 The Mint premium cabin will feature on 11 A321s initially. 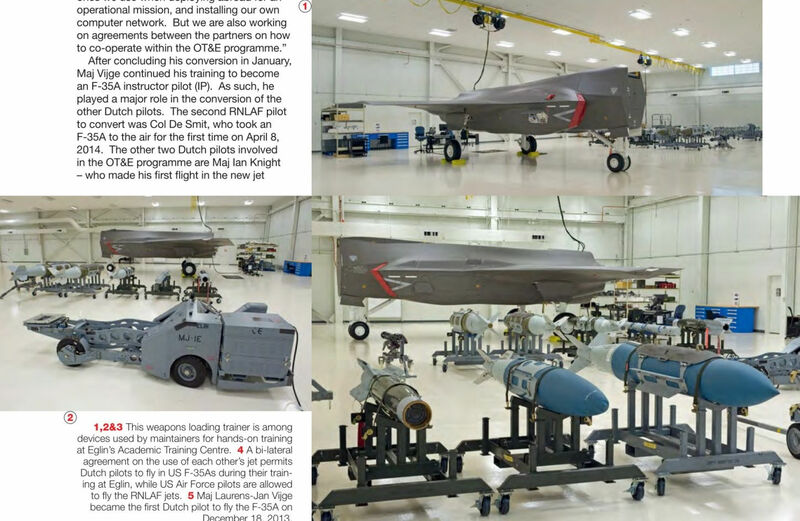 A bi-lateral agreement on the use of each other's jet permits Dutch pilots to fly in US F-35As during their training at Eglin, while US Air Force pilots are allowed to fly the RNLAF jets. 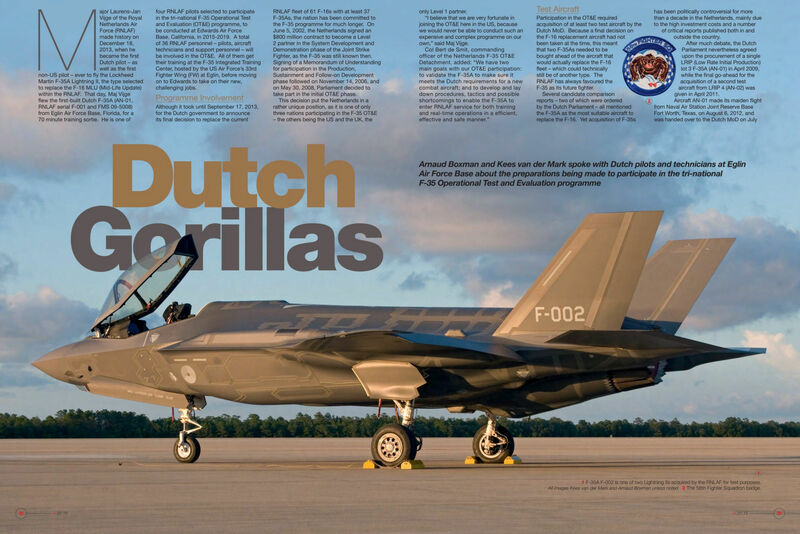 Top: Once the RNLAF detachment moves to Edwards Air Force Base, it will lose the support of Lockheed Martin technicians during day-to-day operations. 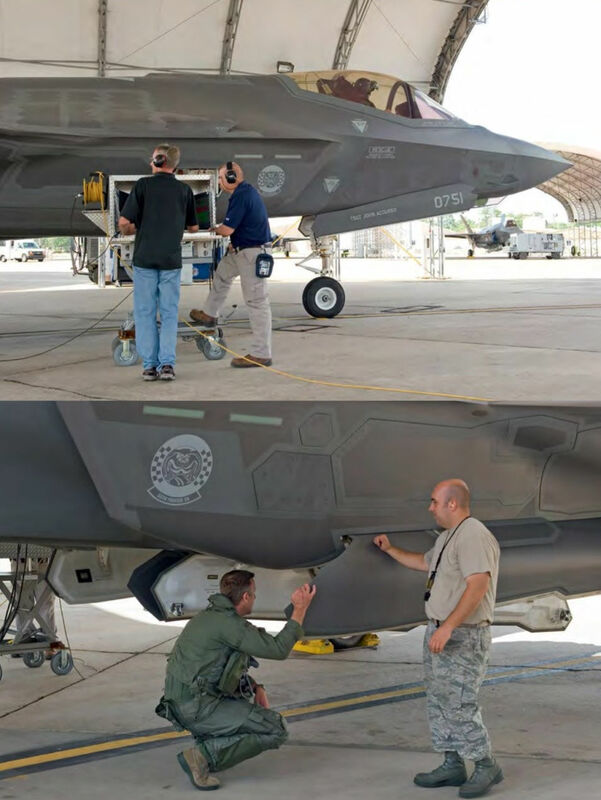 Bottom: Assisted by an US Air Force crew chief, Col Bert de Smit on walk-around prior to a mission in a 58th Fighter Squadron F-35A. 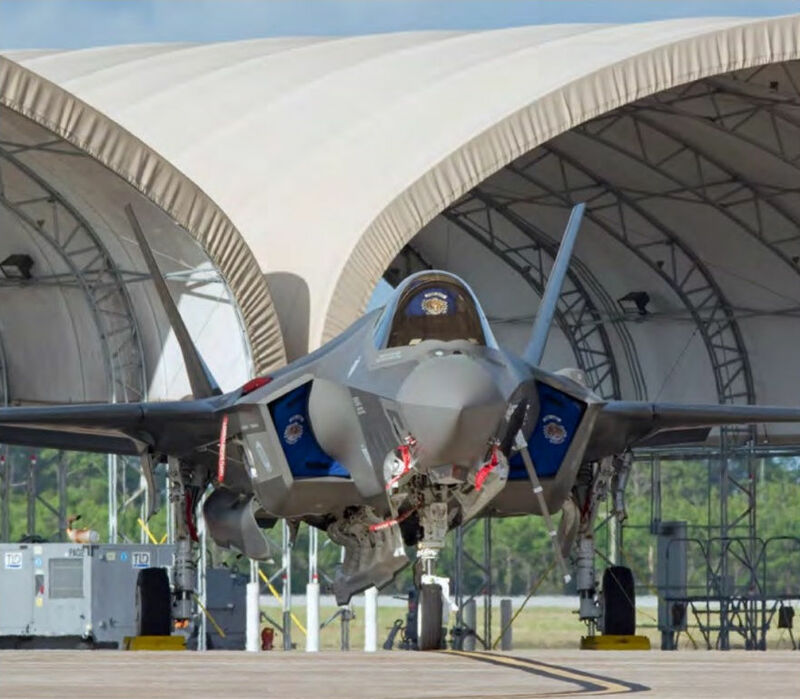 A 58th FS F-35A about to emerge from its sun shelter on Eglin's flight line at the start of another training sortie. One of the 58th Fighter Squadron F-35As at rest outside its sun shelter after a day's flying at Eglin. 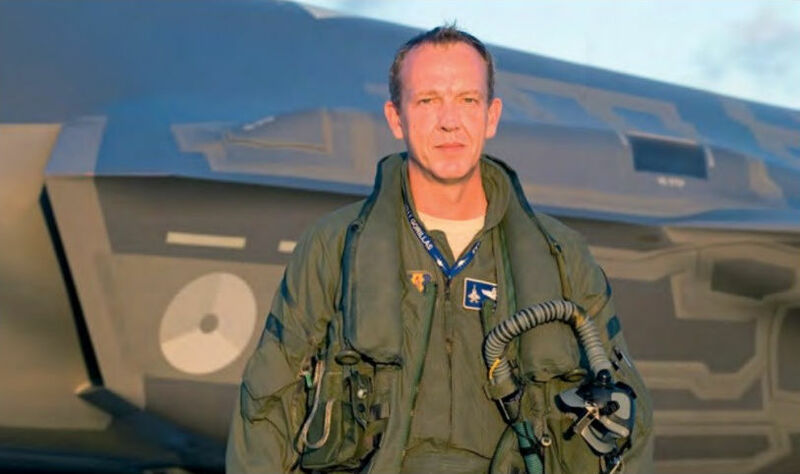 Maj Laurens-Jan Vijge became the first Dutch pilot to fly the F-35A on December 18, 2013. 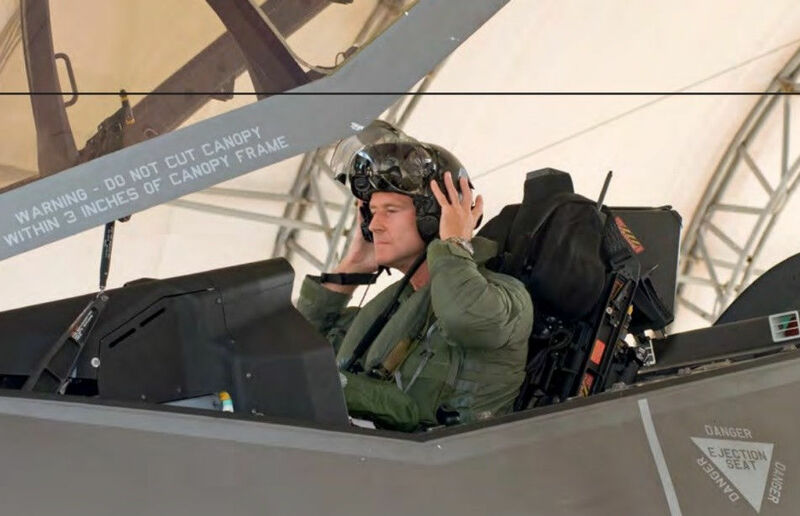 Col Bert de Smit puts on his Generation II helmet before a continuation training sortie in a US Air Force F-35A. 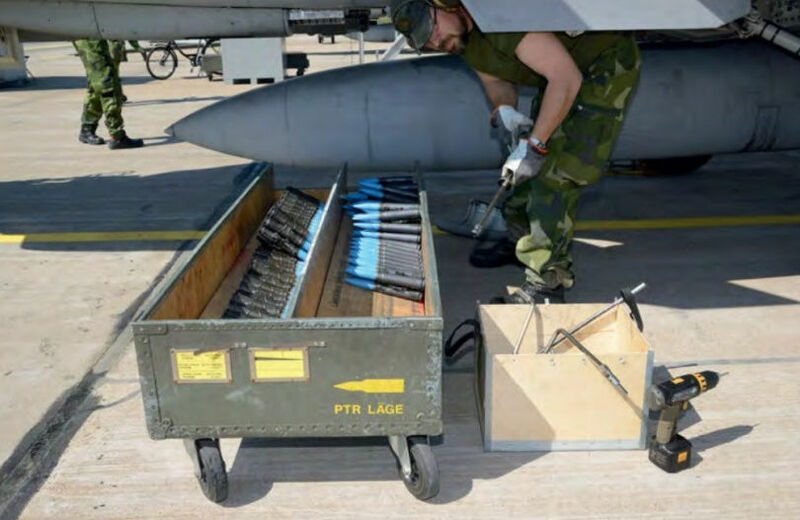 This weapons loading trainer is among devices used by maintainers for hands-on training at Eglin's Academic Training Centre. 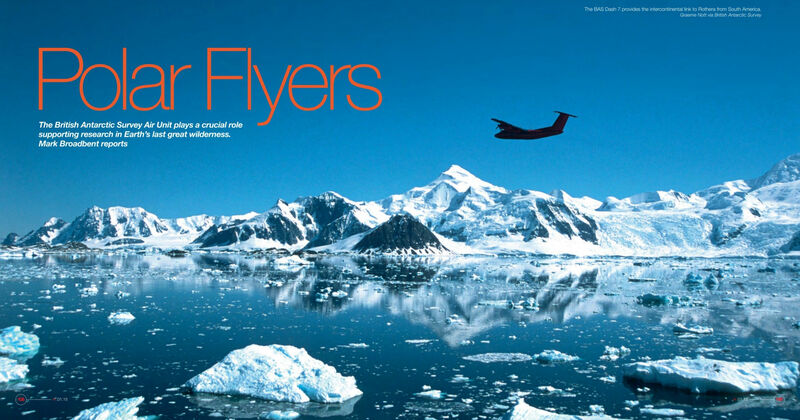 In its 737 MAX fleet Thomson plans to introduce what it describes as social seating. 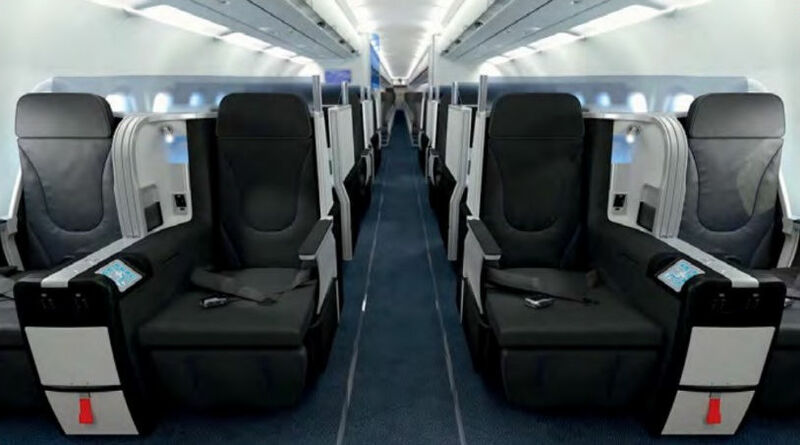 This includes a Family Booth concept with space for four to six people sitting around a table at the back of the aircraft.